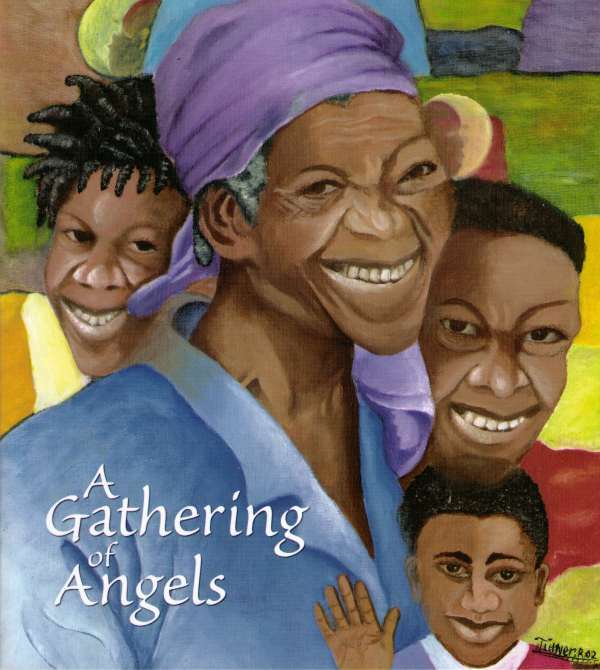 Publisher: Broken Wings Missions, Inc.
Summary: A Gathering of Angels is a collection of prayers written by the boys who call the St. Joseph’s Home for Boys in Port au Prince, Haiti home. Each boy at the home takes turns leading morning and afternoon prayers in the home’s chapel services. This book serves as a collection of some of those prayers written by boys ranging in ages from nine to 25. Literary elements at work in the story: This collection of prayers represents the first person points of view of each author as he speaks to God. The book is written by orphaned children in a children’s home in Haiti, and their worship and prayer life serve as the setting for their writings. There are no themes to the prayers, rather the overarching theme to the book is a life of prayer and worship to God. How does the perspective on gender/race/culture/economic/ability make a difference to the story? Readers are introduced on the surface through the prayers to the culture of children’s home life in Haiti. The authors are all male and of African descent. The illustrations bring to life the prayers and give a more in-depth understanding of culture and socio-economic life in Haiti. While the book does not reference children of limited abilities, further research on the St. Joseph’s Family Homes will reveal a home specifically for mentally and physically challenged orphaned children, both boys and girls. Theology: We are called and gathered by God into one body, family or community called the Church of Jesus Christ. God creates the church and we live as part of it, in loving relationship with God and with each other. In response to this calling by God, we are to use our God-given gifts and abilities to feed, nurture and shape the way that we live our lives of faith each and every day. In doing so, we are carrying out the mission of God for the church in the world. Have you ever written a prayer and shared it with other people before? When you talk to God in prayer, what do you say? Do you know anyone who lives in a children’s home? Do you think you could pray thanks to God if you lived in a children’s home? Do you know someone from another country? Do they pray to the same God you pray to? What is your favorite prayer from this book? Why? Will you write a prayer and share it with someone today? How do you share your faith with other people? Through prayer? Artwork? Church? How? A Gathering of Angels by Storypath is licensed under a Creative Commons Attribution-NonCommercial 4.0 International License. This looks like a delightful book. I checked the Broken Wings website and found their order form. When I asked them if they were quoting Canadian or US dollars, they said Canadian and did not offer information about a US source. I don’t mind doing the conversions and going directly to them, but I wonder if you know of a US source. Amazon (www.amazon.com) doesn’t sell this directly, but they do list three booksellers in the US that have this available for shipment at USD rates. For older books, I also suggest that people check http://www.alibris.com or http://www.abebooks.com. Thanks. Since the sale of the book is designed to support mission, I think it makes sense to order it directly. I doubt any of those resale sources are sending money along to Broken Wings.